This 7 oz. 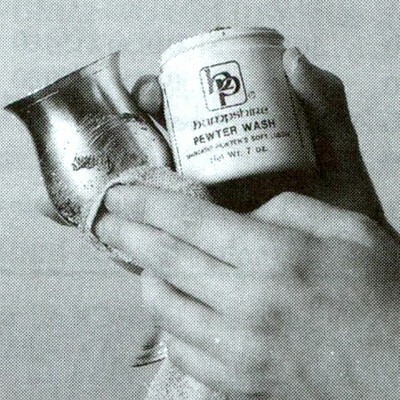 jar of pewter wash will help you to keep that soft patina on you pewter. We recommend to wash your pewter with warm water and a mild soap and towel dry. However, if you want to bring that soft patina out use this pewter wash. With the right care your pewter will hold it's lustre for years to come. We make to last for generations and now you can clean it to look the same generations from now as it does today.